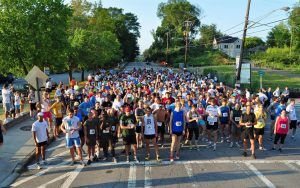 Each year, runners, walkers and strollers are invited to kick off the Grant Park Conservancy’s Grant Park Summer Shade Festival at the annual Adams Realtors Run for the Park 5K. Hosted by Grant Park’s premiere real estate company, Adams Realtors, this year’s race will take place on Saturday, August 25, 2018 at 8 a.m. and will once again feature a 5K, a free kid’s tot trot for ages 5 and under and a stroller stroll along the course. With all proceeds benefiting the Grant Park Conservancy, the course map start and finish will be at the main entrance to Zoo Atlanta. Participants ages 21 and up will receive a complimentary draft beer with a valid ID and race bib courtesy of Bill Adams and Adams Realtors at Dakota Blue. Registration for the 5K and Stroller Stroll is $25 until August 19th. and $30 after from August 20th through race day. Ages 5 and under can participate in the Tot Trot for free. To pre-register or for more information visit www.summershadefestival.com, racesonline.com or active.com. 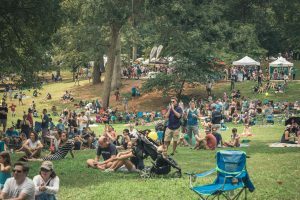 The 16th annual Grant Park Summer Shade Festival presented by The Beacon Atlanta will welcome music and art lovers to Atlanta’s oldest park for its 16th year on Saturday, August 25 and Sunday, August 26, 2018. Benefiting the Grant Park Conservancy, the two-day, fun-filled festival will once again feature an impressive lineup of live music throughout the weekend on two stages in addition to an expansive artist market, Kids Zone, and a dedicated VIP area. The festival is open to all ages and free to attend. The festival will also have local food trucks, cocktails, craft beer and more. For the most up to date information, visit www.summershadefestival.org.